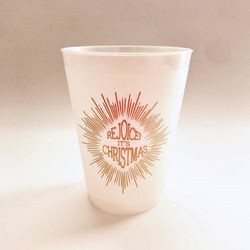 You'll love these pretty pearl shatterproof cups printed in metallic gold ink reading "Rejoice! It's Christmas." They are great as a hostess gift, for a holiday celebration, secret sister, dirty Santa, or as a holiday happy for teachers, coaches, caregivers and more. Set of four 16 oz Pearl Shatterproof Cups comes with coordinating ribbon tie and gift tag. Just sign your name! 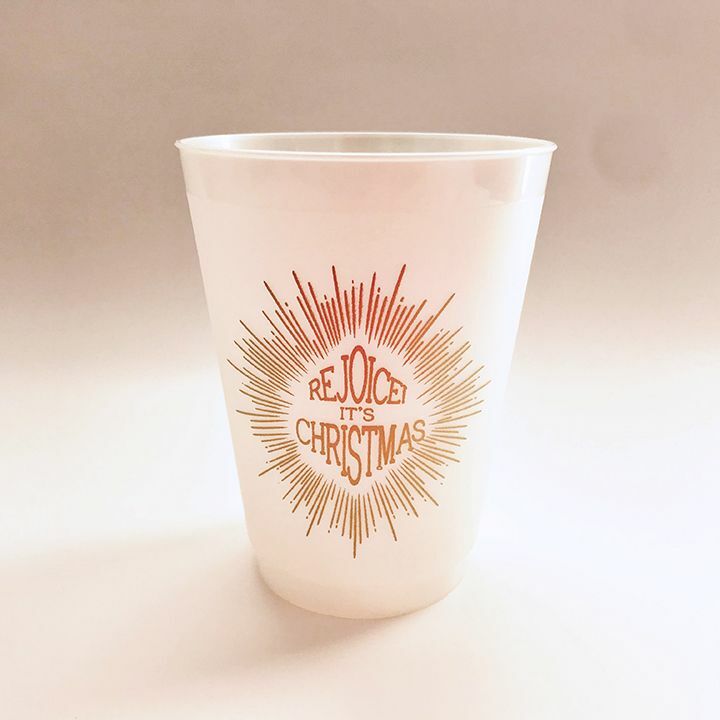 Printed both sides with white Ink; Top-shelf dishwasher safe, BPA-free, made in the U.S.A.